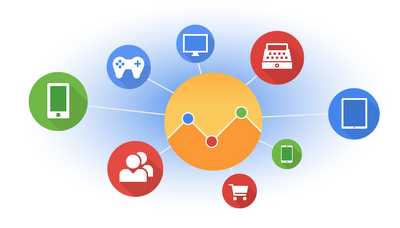 Universal Analytics is the new update to the "Classic" Google Analytics account. Universal Analytics introduces a set of features that change the way data is collected and organised in your Google Analytics account, also giving you access to improved data processing and more analysis tools. You can start using this update with your Create account today! You will firstly need to ensure your Google Analytics account is upgraded to Universal Analytics. If you are unsure if your Analytics account is classic or Universal, you can check using these steps. On the Admin page, select the account and property you want to upgrade. In the property column, click "Universal Analytics Upgrade". In the section called "Transfer to Universal Analytics", click "Transfer". Read the information in the pop-up. If you can confirm that you’re ready to transfer your property to Universal Analytics, click "Transfer". Allow 24 - 48 hours for the transfer to finish. When a note that says "Property transfer" complete appears in your account, the transfer to Universal Analytics is complete! For more information on Google's Universal upgrade please refer to the "Universal Analytics Upgrade Center". From the top tabs select "Google Analytics"
You can then start benefiting from the Universal Analytics update in your Create account. A new advanced feature is available for Shop Builder Pro and Shop Builder Advanced packages - "Enhance Ecommerce Tracking" offers further insight into shopper behaviour and allows you to dynamically measure user interactions. See our HelpCentre guide "How Do I Set Up Google Enhanced Ecommerce Tracking" for details of how to enable this with your Create shop.